Although we do not have actual statistics, a significant number of children and adults with MECP2 Duplication Syndrome have been tested and found to have abnormally low levels of vitamin D.
The reason or reasons for this are not well understood. Limited exposure to sunlight, some medications (e.g., anticonvulsants) can lower levels of Vitamin D), dietary issues may play a role. Low bone density (including osteopenia and osteoporosis) low-energy fractures, and skeletal deformities have been reported frequently among individuals with MECP2 duplication. Individuals with MECP2 duplication typically have increased frequency of respiratory infections. While at least some factors that contribute to this increased risk are well known (e.g., weak immune response, aspiration) are will known, this increased risk appears to be the result of multiple interacting factors. A large body of research suggests that Vitamin D deficiency plays a role in lowering resistance to respiratory infections. This research DOES NOT provide evidence that supplementing vitamin D beyond recommended levels is helpful. Too much Vitamin D is not helpful and can be toxic. Most of these facts have been well known for many years. Way back in December 2012, I posted Bone Density, Osteopenia, Osteoporosis, and Fractures: Part 1. I never got around to posting Part 2 because I was hoping that some more relevant information would come forward. It hasn’t. Nevertheless, I am posting Part 2 now, even if it doesn’t add a lot of new information to the discussion, because I think it is an important topic. It is important because low bone density is a problem for many individuals with MECP2 Duplication syndrome, this problem often remains hidden until it manifests in fractures or other serious problems, and it is basically irreversible. I need to start with two disclaimers on this post. (1) This is not intended as medical advice. 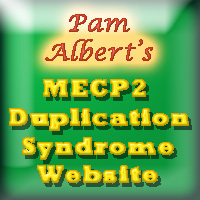 (2) Every individual with MECP2 Duplication Syndrome is different. 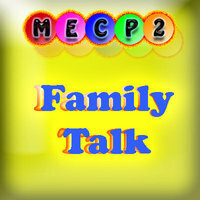 Taken together this means these considerations are intended to suggest topics that families may discuss with their health care providers in order to determine IF and HOW they may apply to their child. 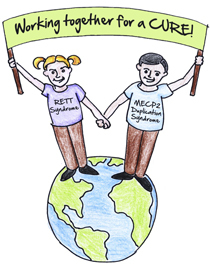 Children and adults with MECP2 Duplication Syndrome are always at increased risk for respiratory infections, but lately it has been particularly troubling to hear how many have been experiencing severe illnesses. It is important for parents to understand that some of this is beyond our control, no matter what we do to try to prevent it. But here are some things that might help at least a little.